Business owners all have challenges in running their business. They don’t have time to stay on top of technology solutions that keep them competitive and growing. That is our Job. Successful business owners do need to stay informed on applications of technology to run a productive and profitable business which is why we developed the The Metro Minute. It is designed for business owners to stay on top of the industry and is full of business technology, tips & tricks, advances in technology, success stories and some GREAT deals. To learn what is working for other businesses, join our mailing list. 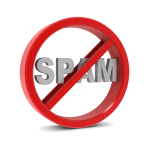 *IMPORTANT*: No Spam…We HATE spam as much as you do and will not rent, share, or sell your information with anyone ever! We will only use your information to communicate with you directly, and you can remove yourself from our list at any time with one simple click. To “Submit your info, please click the small arrow to the right.